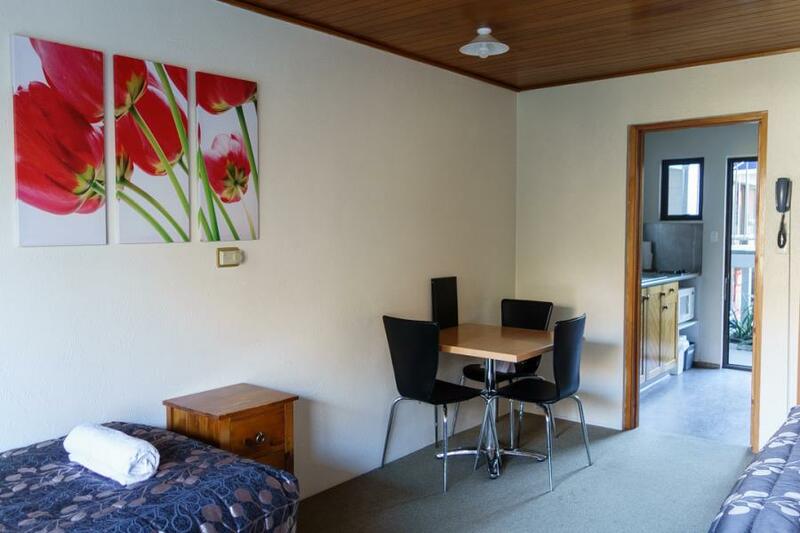 ASURE Brookvale Motel offers accommodation in Wanaka, New Zealand with 10 quality self-contained units only a two minute walk from the centre of town and lake front. 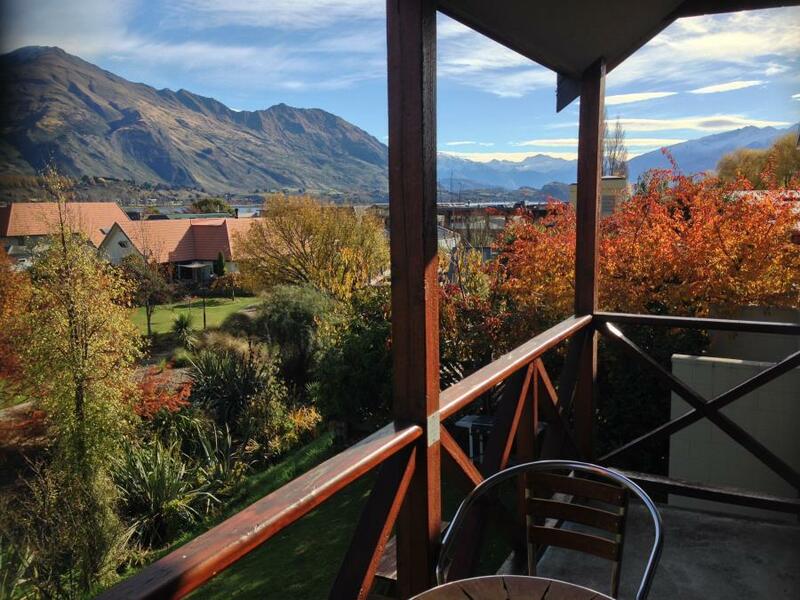 We have a private setting with views out over a quiet reserve towards Lake Wanaka and the Southern Alps. All rooms have their own balcony or direct access to the garden with views of the spectacular mountains and creek. Each unit includes kitchen facilities, ensuite bathroom, wireless internet access, SKY television, underfloor heating and more. A spacious studio unit, complete with 1 queen bed and 1 single bed. Self contained room with nice views, ideal for a couple, or friends sharing. Additional single bed can be added to accommodate up to 4 persons, please contact us to request this. Whether you're visiting with the family, or you're just a grown-up kid, there is heaps of fun to be had. Book our family package and combine your stay with a fun filled trip to Puzzling World, a world unique attraction specialising in puzzling eccentricity. Clip 'N Climb, where theme park meets climbing wall. Funky climbs like nothing you've climbed before. Automatic belays so everyone can climb at the same time. It's never been easier to give climbing a go. Whether it's flying over the mountains in a tiger moth or climbing them, jet boating a wild river or cruising on the lake, mountain biking or walking on one the lakeside tracks, take time to explore this striking land. Wanaka is also home to the Challenge Wanaka triathlon, the world's most scenic iron distance triathlon. This is held annually in mid-January, and attracts top-class triathletes from all over the world. Wanaka is home to many international ski areas inlcuding Cardrona, Treble Cone and Snow Farm. With something for everybody from powder to terrain parks, cross-country to downhill. Lake Wanaka is a food & wine lover's dream. Award winning vineyards, exquisite restaurants, boutique breweries and shops full of local treats. Wanaka is a true year round destination and enjoys an enviable climate with four distinct seasons. During the long hot summers the lake and beaches provide all that sun-seekers and boating enthusiasts could wish for, and the fly-fishing is superb. There's also a wealth of outdoor adventures, from mountain biking to canyoning, golf to kayaking. Lake Wanaka lies at the gateway to Mount Aspiring National Park, a pristine environment of striking mountains and deep alpine lakes. Hikers, climbers and day walkers from around the world enjoy the area's spectacular natural beauty. We decided to book Brookvale Motel based on TA reviews and we were certainly not disappointed! We had a one bedroom apartment and it was spacious for the 4 of us. The apartment is very clean and kitchen facilities look very new. What we particularly love is the heated rail and heater in the bathroom which is very much appreciated during the cold winter nights! We will definitely stay here again if we are in the hood! Second time we've stayed here, great location and clean comfortable furnishings. Staff very friendly and helpful even offering to help with bags etc, Arrived to find that the two single beds had been made into a double for the single person staying with us - much appreciated. Thanks guys made us feel very welcome. Stayed here in 2 rooms, we were upstairs and our room was very nice, well presented and clean. We had a nice balcony and I could see the lake and stream. Our room had a brand new bathroom. Kitchen was not new but it did the job fine. Lounge had a couch and it was very warm with the little heater on. Nice lady on reception gave us some helpful advise and a voucher for money off a restaurant in town. There was also a spa pool, didn't go in it, but it looked new and very private. So close to everything, awesome shower. After much time wasted trying to decide where to stay we chose this place and we finally made the right choice. Previous choices were not so right traveling through the South island. We had a lovely bubbly hotel manager Becky who greeted us with the best customer service we had experienced whilst in NZ. Room was very delightful great views and easy access to town. Lovely creek runny next to the hotel. I'd stay there again on a return visit for sure! Stayed only 1 night during a stopover in Wanaka, although we wish we could have stayed longer! The value for money was exceptional, we couldn't believe what we got for the price we paid. Lovely open plan room with a balcony, a well equipped kitchenette, modern and impeccably clean bathroom and very comfy bed! The hosts were incredibly friendly and welcoming - made us feel right at home, thanks! We only spent 1 night in Wanaka but it is the kind of place to spend more time. The motel was comfortable and well maintained. Our room had a queen and single, was quiet and clean and met our needs. We used the gas grill on the grassy area outside our room to cook up a delicious dinner. The grocery store and town were a short walk away. It was also well priced. The staff were outstanding. They came out every morning that we started the car to check what we were up to and give us road, weather and ski updates. It was freezing outside and the staff had our heaters on every day when we got home so that we didn't have to wait for the rooms to warm up. I doubt that you would find friendlier and more helpful hosts.